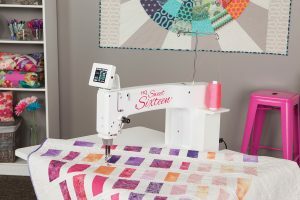 Discover the freedom of free-motion quilting with a sit-down longarm. If you love free-motion quilting but are having a hard time fitting your project onto a domestic machine, you’re going to love the HQ Sweet Sixteen®. 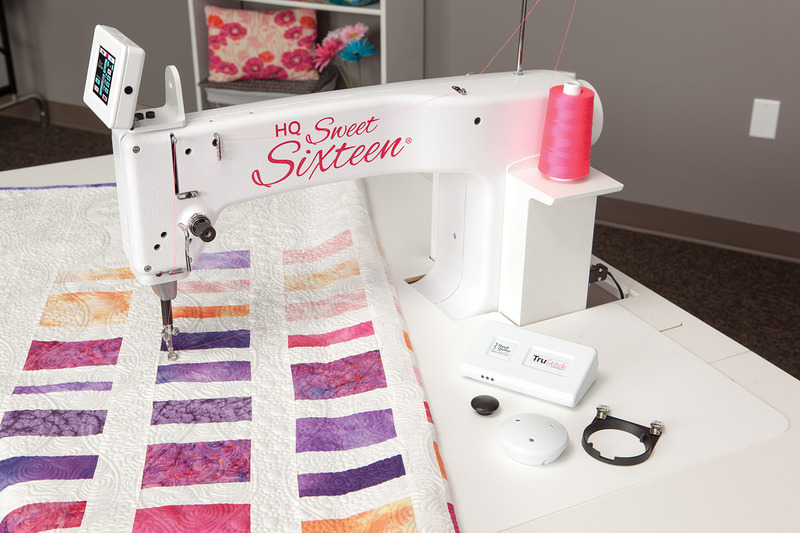 Sixteen inches of throat space gives you room to work on even a king-size quilt. The smooth surface of the included table allows your project to glide under the needle. 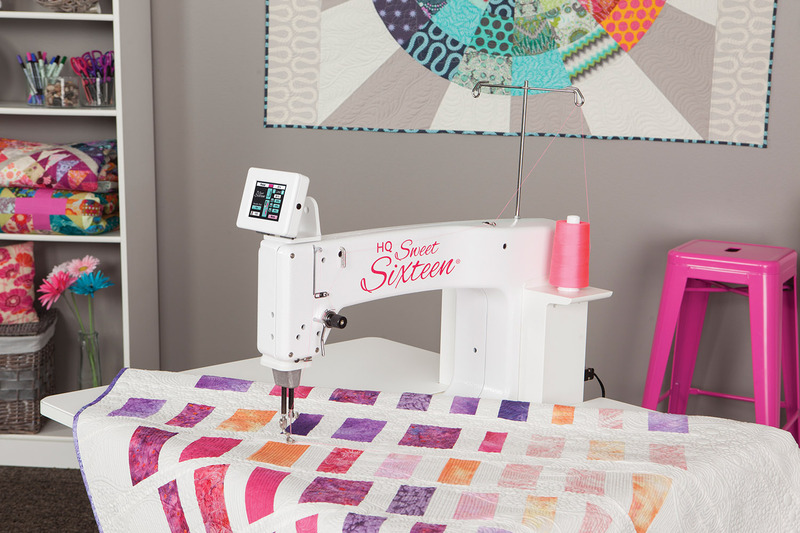 The powerful motor handles quilting with ease and stitches up to 1,800 stitches per minute. 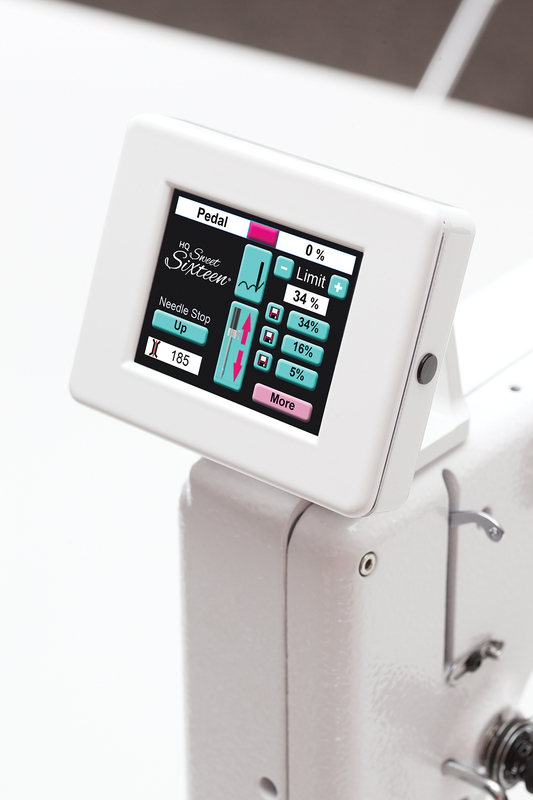 Choose your own top speed and set it on the easy-to-use color touchscreen. If you are in Cedar Rapids, Iowa or the surrounding area, visit our store to learn more about the HQ Sweet Sixteen.